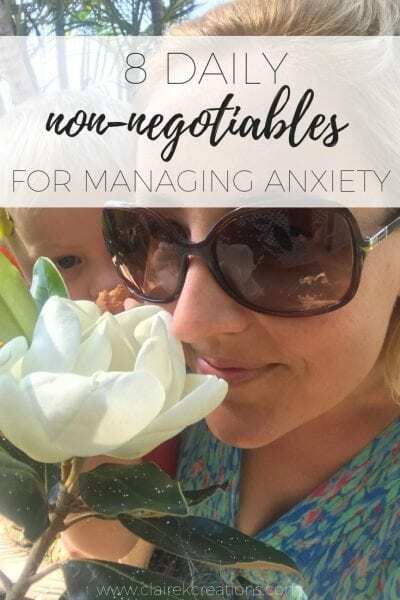 Living with anxiety, one of the most important things I’ve learned is that it’s not a ‘deal with when it comes up’ thing, it’s a manage my life so it doesn’t come up. 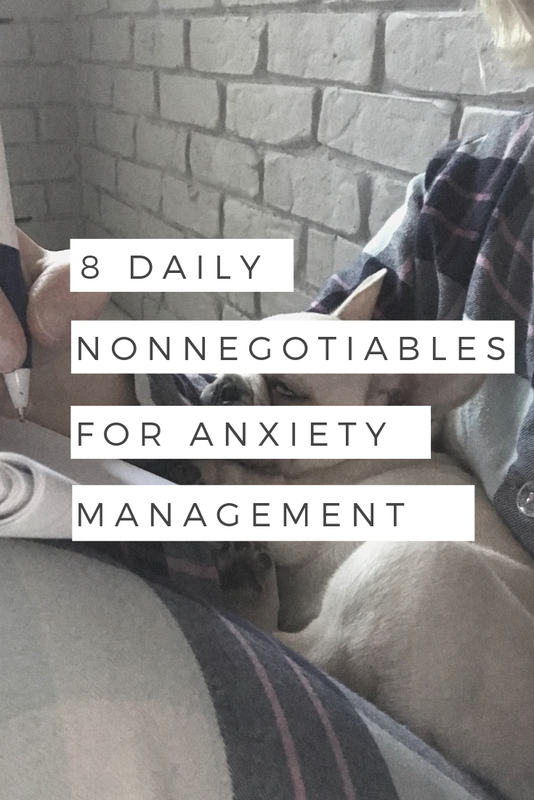 Today I’m sharing my 8 daily nonnegotiables to manage anxiety. It has taken me a long time to realise (yep I’m slow to the party) that if I take good care of myself, I’m a much nicer human. Go figure right? It has also taken me a while to figure out the things that I need in a day to keep myself functioning at a sanity level that doesn’t see me flying off the handle at little things. 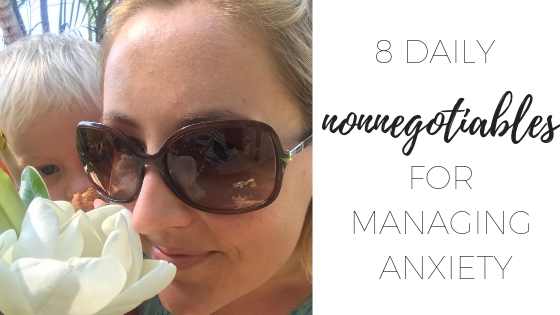 Managing anxiety for me isn’t just a case of dealing with it when it arises (although that’s important too), it’s much better to manage myself and my life, so that the anxiety doesn’t rear up. For me it’s a daily thing. Over the last year I’ve slowly added to my list of things. Of things that I love. Of things that keep me sane and level (or at least help). They don’t have to be big things as long as they are something that lights you up, grounds you and makes you feel good. Pick one thing, do it daily, assess after a week, repeat. My number one daily nonnegotiable is moving my body daily. 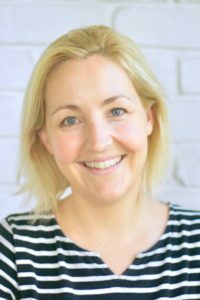 Ideally it’s a proper exercise session – going for at least a 30 minute walk, doing a youtube workout or attending a class but if that’s not possible, it might be putting on a few happy tunes and dancing like crazy with the kids for 10 minutes. Moving my body helps get the energy flowing and clears out any ‘gunk’ aka the bad feelings that can hang around. I challenge you to dance to Footloose without feeling lighter and more joyful when you’re done. Every morning, after my exercise, I have a cup of ceremonial cacao. I sit in silence (most of the time anyway) and I savour that cup of deliciousness. It’s nutritious, it’s delicious and it nourishes my soul. I haven’t missed a single morning since I started the habit 8 months ago. The one I love is Ceremony Cacao. You can read more about cacao ceremonies and the health benefits of ceremony-grade cacao on their website. Yep I am a journaller now. Well I don’t know that I’d call it journalling as such but as soon as I’ve finished my cacao, I open up my note book and I write for 3 pages. First I write the date, then the day of my cycle (being aware of this also helps me manage my emotions or at least know why I might be feeling particularly cranky on a given day) then I pull a card from my angel cards. Far out if you’d told me even a year ago that I’d be having daily cacao ceremonies, journalling and pulling angel cards I’d have checked myself into the loony bin but I love this stuff. It really does make a difference to me. Then I write. Sometimes I write about my dreams, other days it’s random thoughts, sometimes business planning… I always start with the same sentence though. ‘Today is a good day.’ I write for 3 pages and then I start. It’s a variation of morning pages and you can read more about it here. A lot of people ask me how I find the time for this away from the kids and there are a few answers to this. One I get up pretty early to try and get it done before they wake. 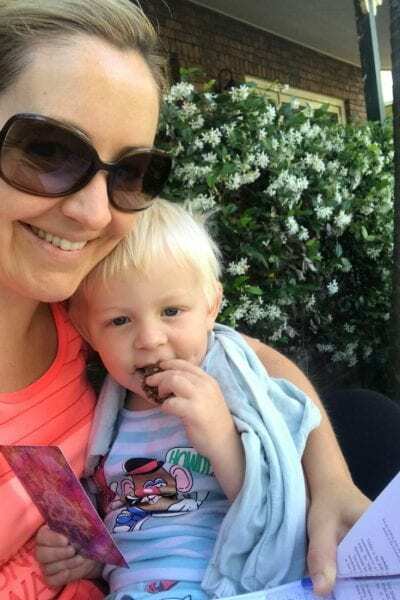 They also know that it’s Mummy’s special time and they nearly always leave me alone OR… I end up with a child on my lap while I write. Breakfast is never optional for me. I have it every single morning without fail. It might be a smoothie or some overnight oats but I ALWAYS have it and it’s always nutritious with some fats and proteins. Every day. At least 2 litres (usually 3). Seriously, this should be an absolute nonnegotiable for everyone. I don’t need to tell you why. You know why! When my first baby was just a couple of weeks old I remember going to bed one night and realising it had been 4 days since I’d left the house. Not just left like on an outing, actually physically stood outside the 4 walls. Now, every single day, I will go outside. Most mornings it’s a couple of minutes to check on the vege garden with the boys but if that doesn’t happen it’s a minute with my eyes closed looking at the sun. Fresh air is so very important. I am a doTERRA essential oil lover. Oils have literally changed my life and I use them for everything from cleaning to mood management, cooking to immune support and soo much more. They also help me settle off to sleep. Every night I put a combination of Lavendar, Frankincense, YlangYlang, Bergamot & Cedarwood on my feet then rub some into my hands and have a very big slow sniff. I’m addicted to sleep music. Just search ‘sleep music frequency’ on youtube, pick one that sounds good and hit play. I like the ones that go for 8 hours to get me through the night. 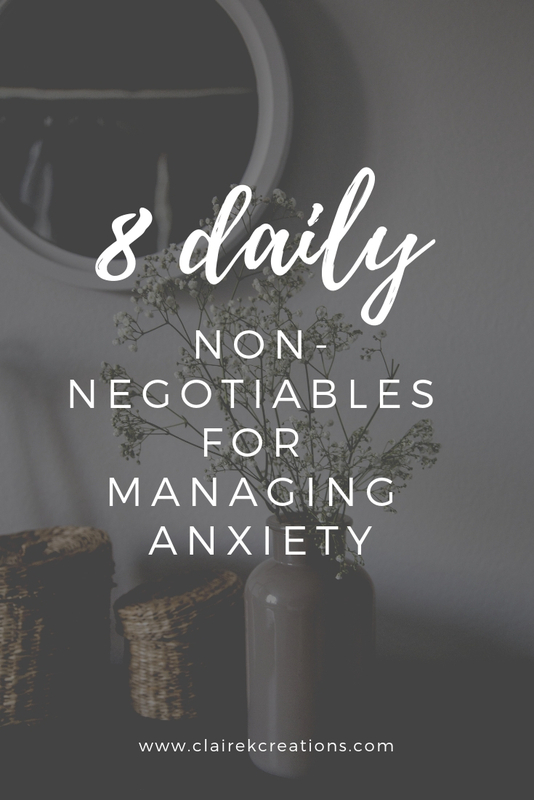 So there you go, my 8 nonnegotiables to manage anxiety. 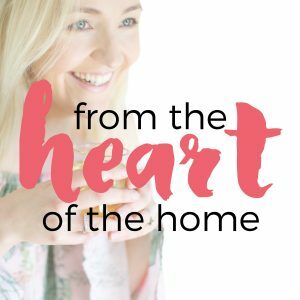 If you’d like a little more detail check out episode 47 of the From The Heart of the Home podcast or listen below. 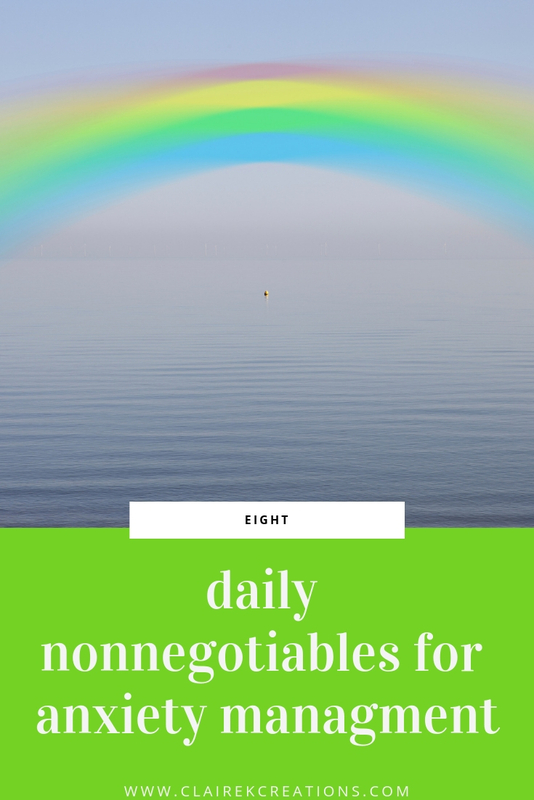 I’d love to hear your daily nonnegotiables.